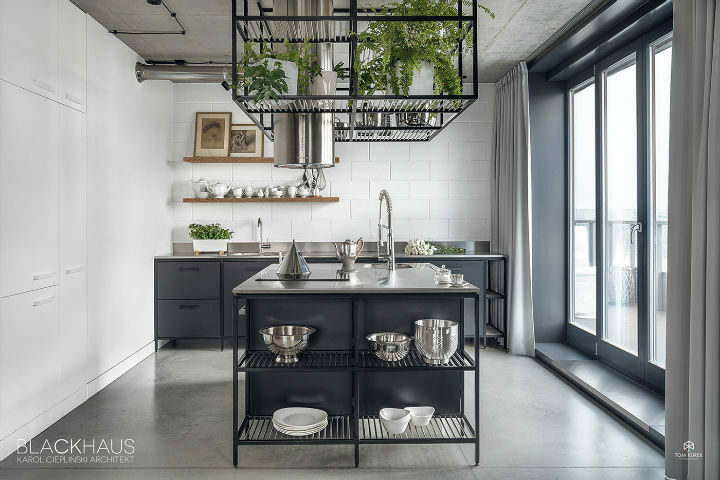 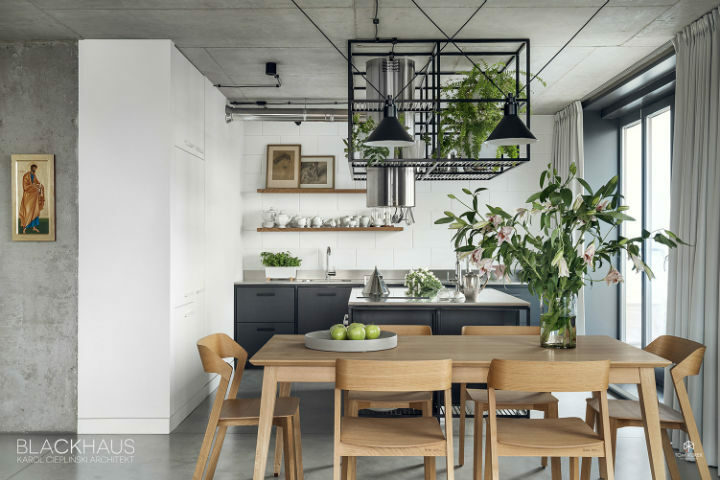 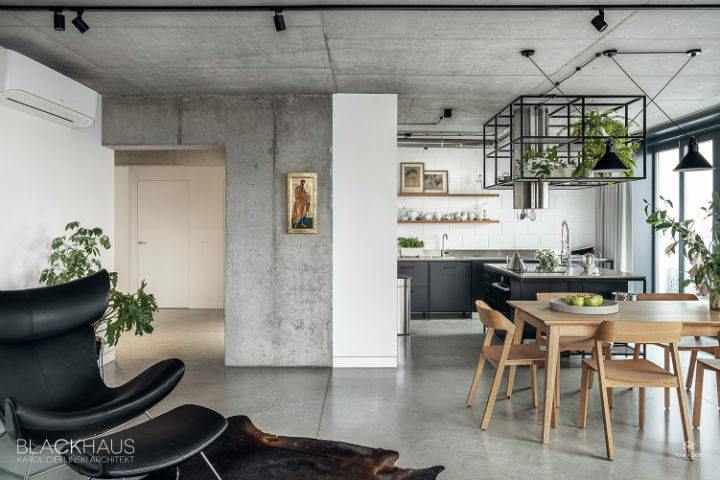 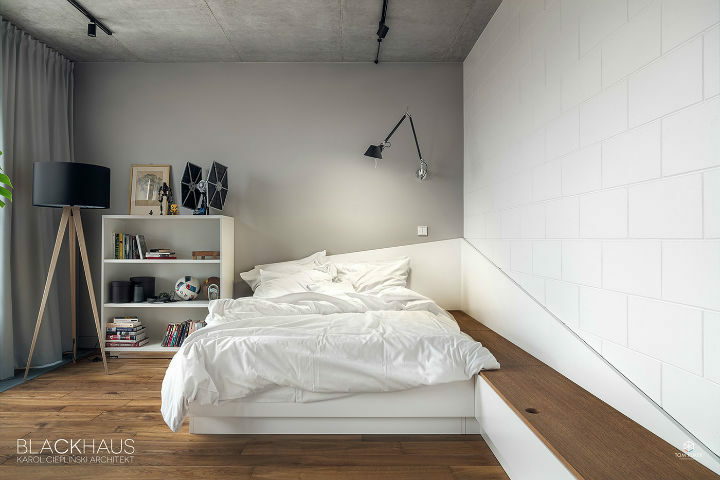 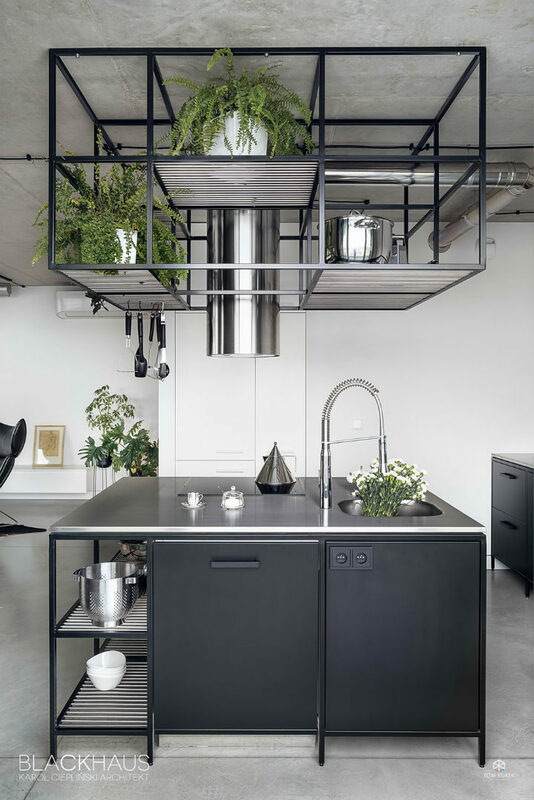 Geometric space of contrasts by BLACKHAUS. 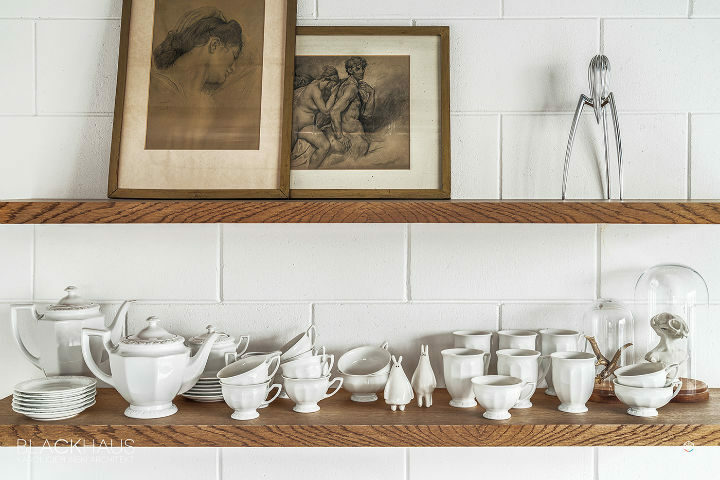 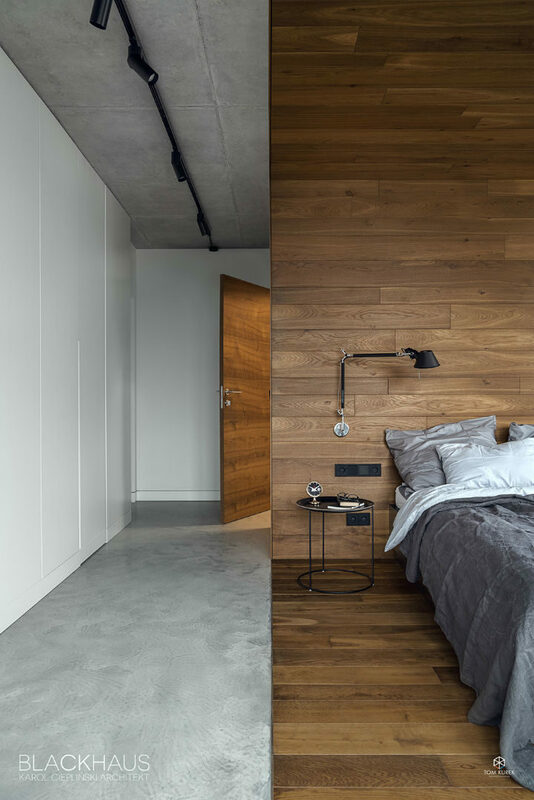 Imperfect and raw surfaces of concrete opposed to the sharp and perfectly smooth walls that creates space for leaving. 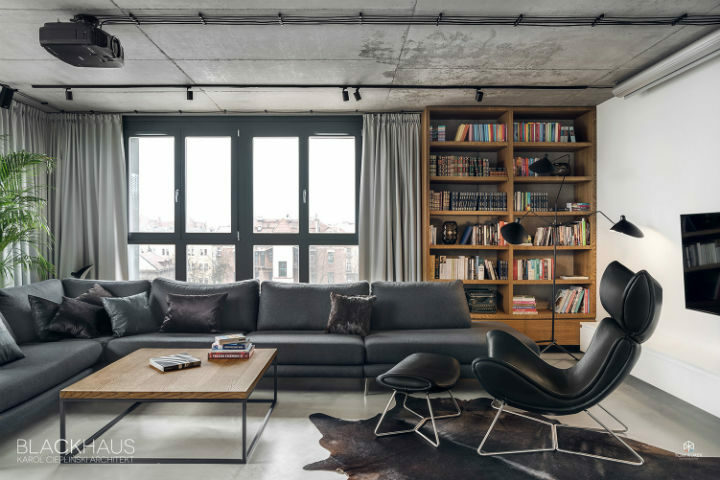 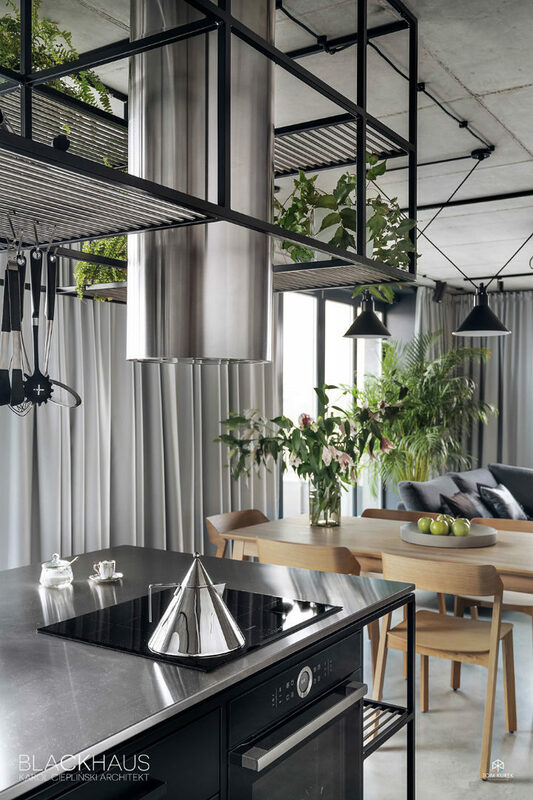 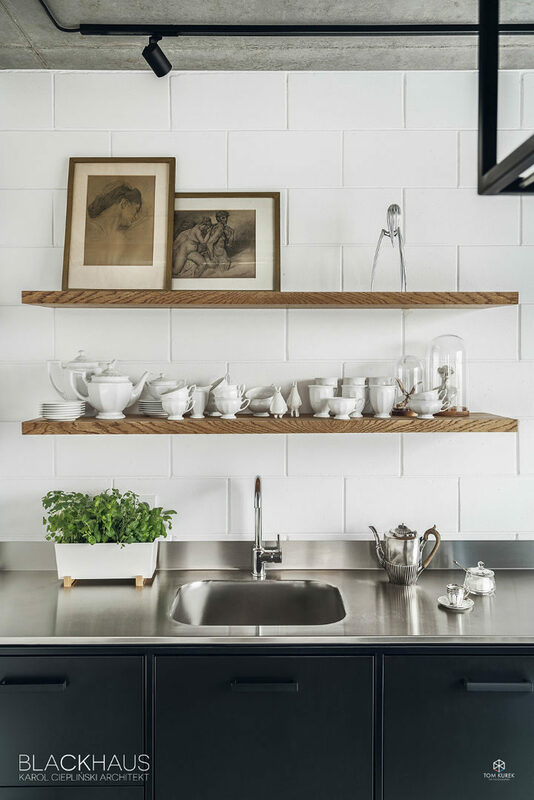 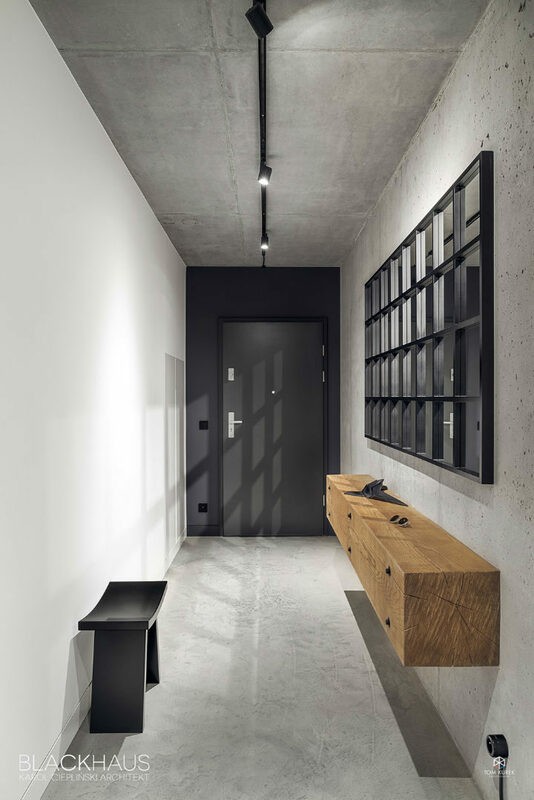 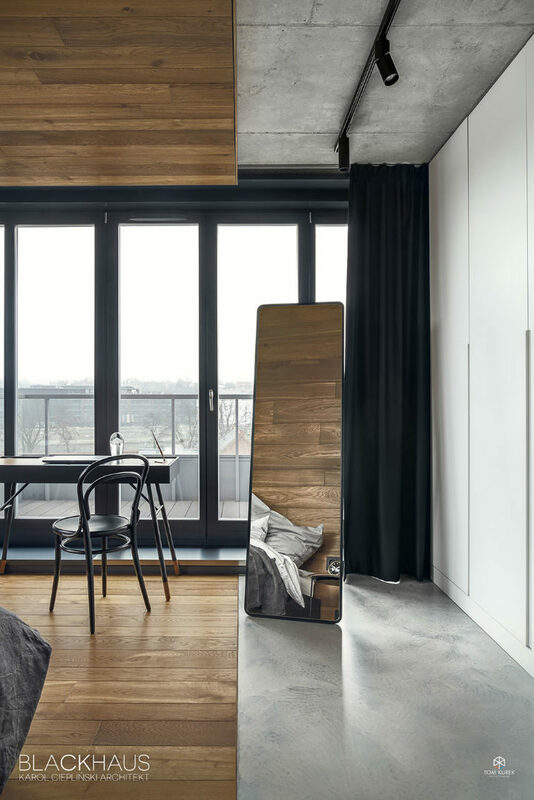 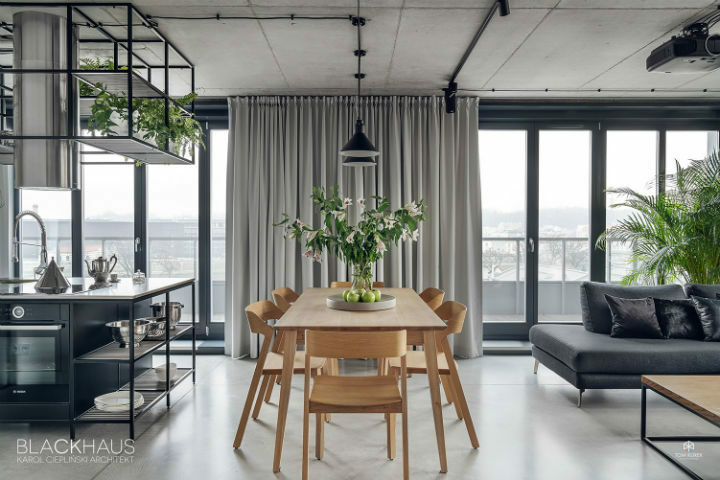 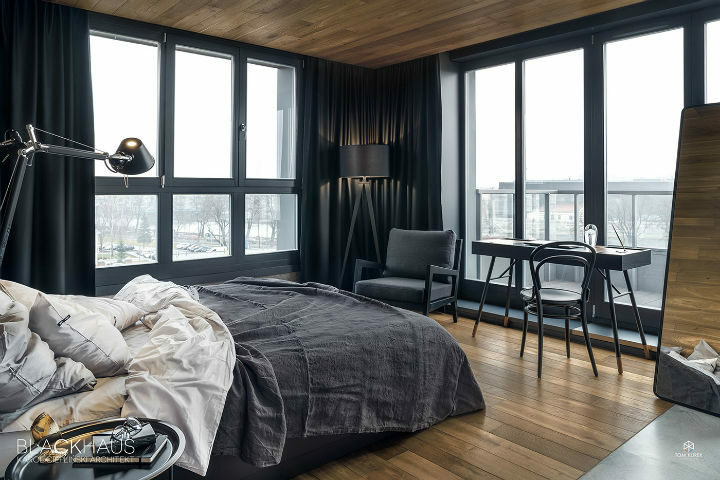 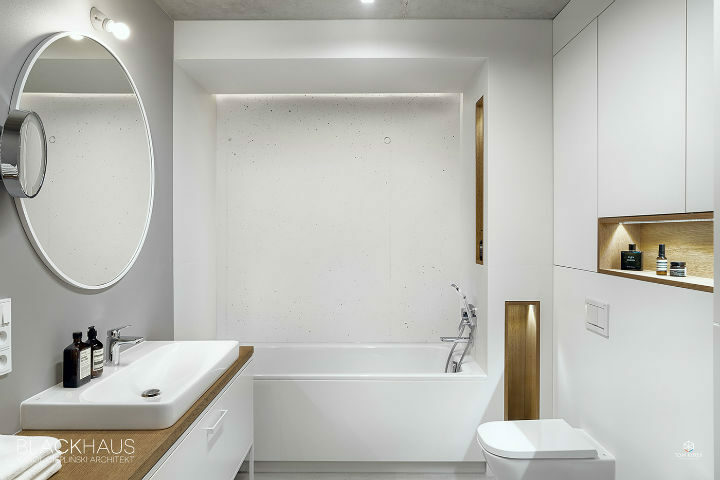 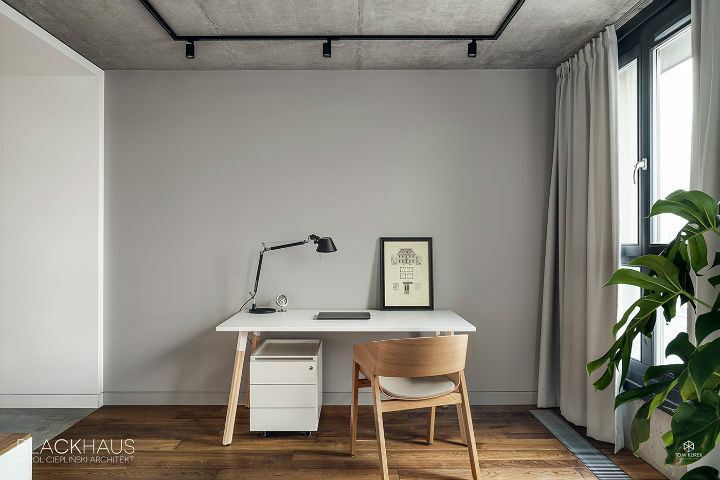 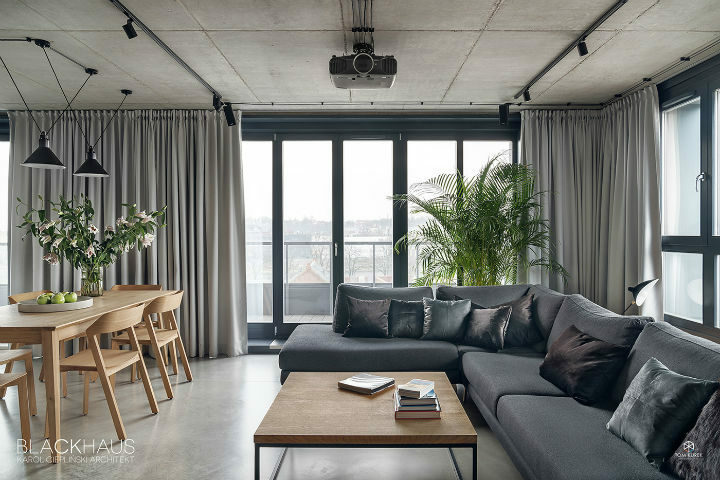 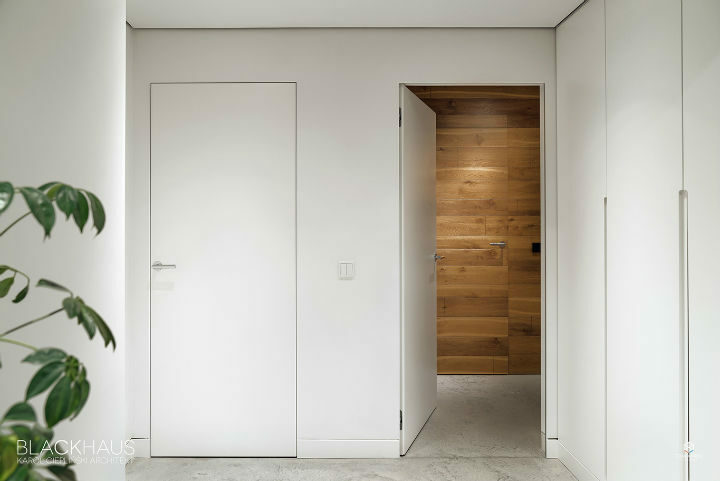 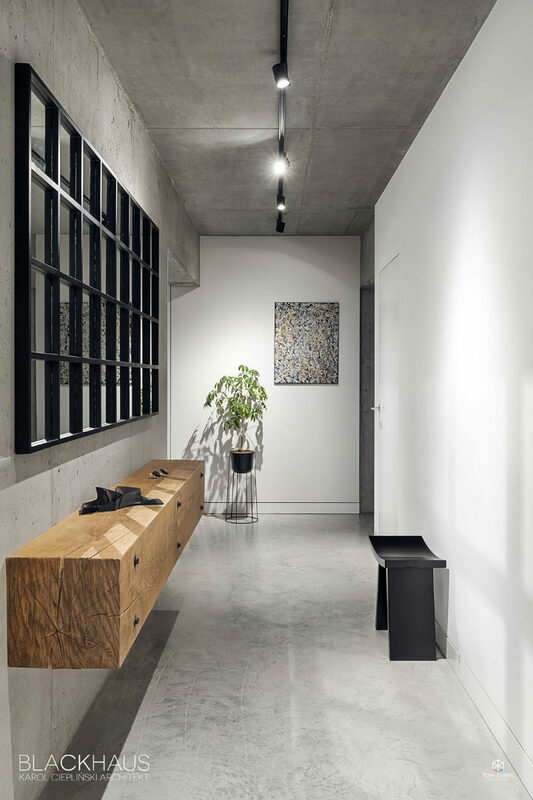 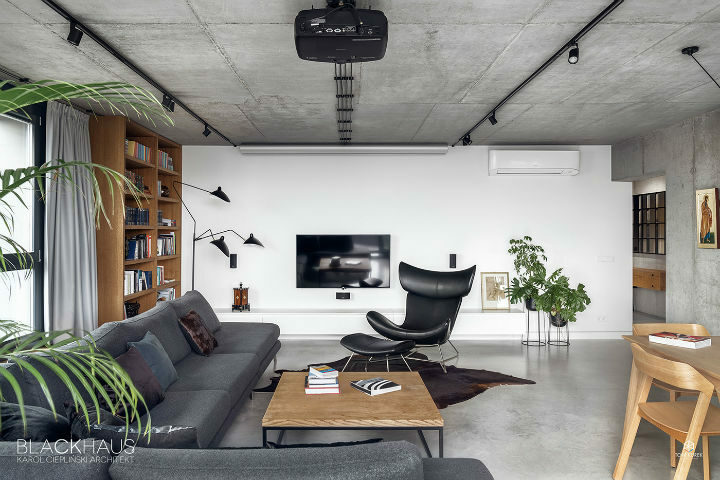 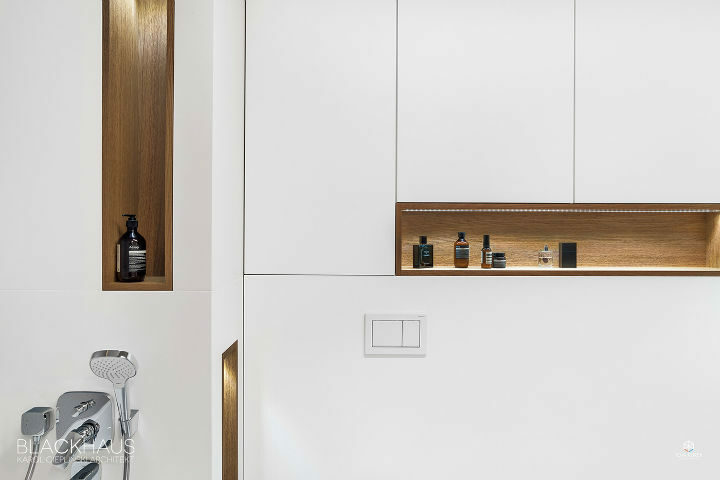 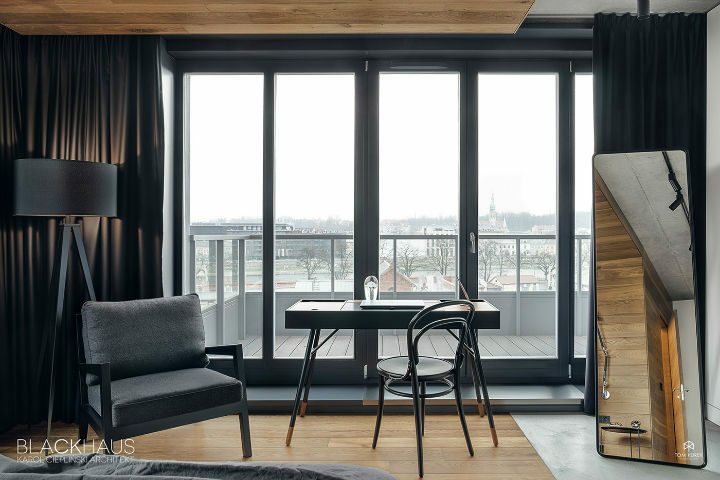 Apartment is subordinate to the details: flush-mounted skirting boards, dilatations of the concrete floors meeting the divisions of materials at the walls, invisible doors. 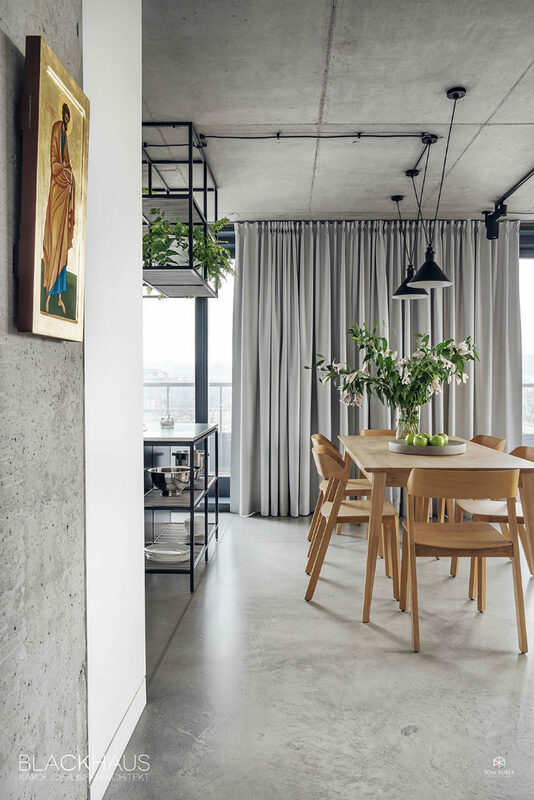 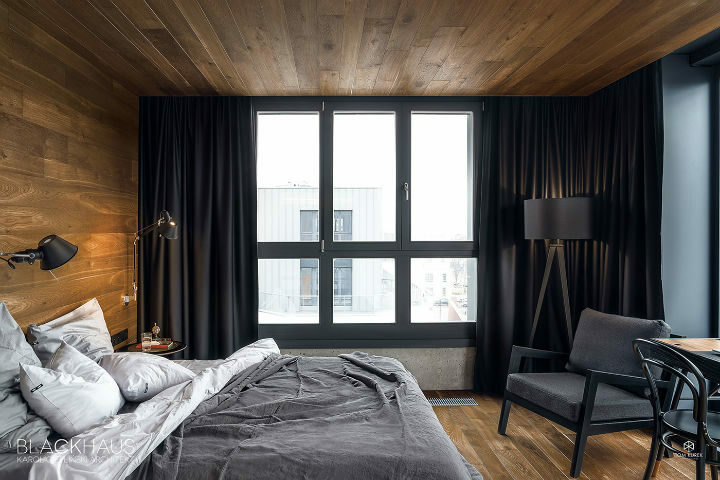 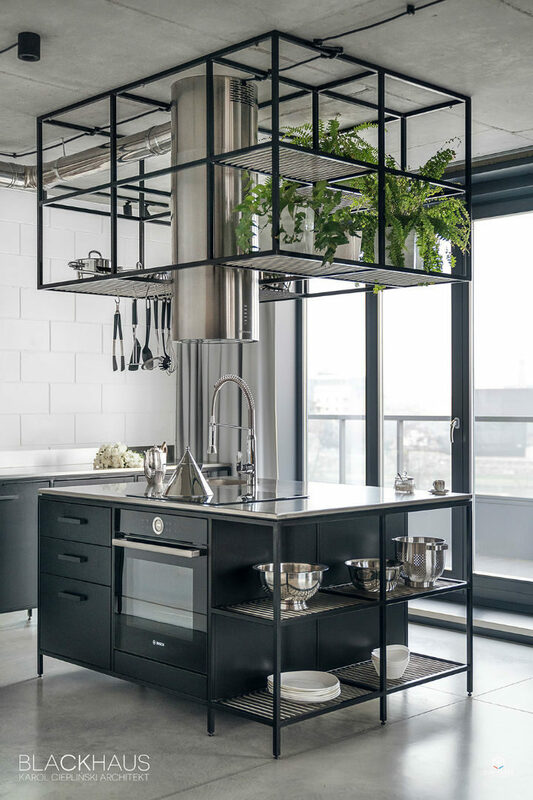 Raw spaces are warmed up with oiled wood and natural materials: leather and felt – they also mark the boundaries, closed in geometric divisions makes room for life.